Evening News: Bilic and Gabbidon talk about loss. Ashton slams strikers. Evening news round-up for Monday 21/11/16 by 337hammer. Slaven Bilic believes his West Ham United side gave reason for optimism with their performance at Tottenham Hotspur on Saturday evening. Michail Antonio and Manuel Lanzini’s goals meant Bilic’s side became the first two score twice against Spurs this season and the boss is confident results will soon go their way. Are you optimistic about our next 4 games? Can we take positives? How is your confidence in the team or Slaven Bilic? Danny Gabbidon on West Ham loss, Bilic future, striker signing. Gabbidon says Slav should get more time; what are your thoughts? Do you think we should go for Berahino in January? Costly error sours things for Randolph on his return. Saturday’s trip to White Hart Lane provided Ireland goalkeeper Darren Randolph with his first Premier League start of the season, but unfortunately he wasn’t blameless in West Ham’s late defensive collapse. Harry Kane’s brace in the final couple of minutes inflicted a 3-2 defeat on the Hammers, keeping them one spot above the relegation zone and leaving manager Slaven Bilic with a dilemma over which of his keepers to choose for Saturday’s visit to Manchester United. How did you rate Randolph’s performance? Who should be in goal for our next league game? 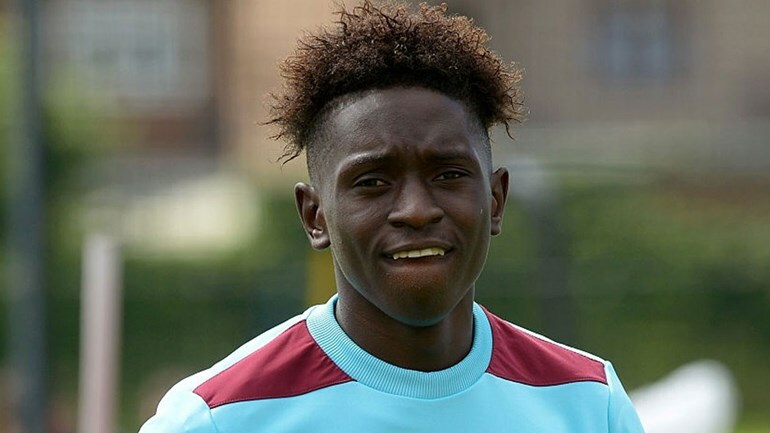 Domingos Quina signs professional terms with West Ham. Are you happy about Quina signing for us? When do you think he will break into our first team? Is he not too small to make it in the premier league? Dean Ashton slams West Ham United’s striking recruitment. Former West Ham United striker Dean Ashton has slammed the club’s recent recruitment in his position. Speaking as a guest on Talksports Jim White show on Monday, the 32-year-old reeled off a list of names – including summer signings Simone Zaza and Jonathan Calleri – who aren’t good enough to play for his old side. No West Ham striker has scored in the league this season, although a shortage of goals from front men is not specific to this season. What do you feel about Ashton’s comments? What would we give for a Dean Ashton type player now? West Ham transfer may be off. West Ham United’s Turkish winger Gokhan Tore has expressed his desire to stay at West Ham and fight for his place, according to Aksamspor and Hurriyet. The 24-year old has disappointed both Slaven Bilic and West Ham fans after his below-par performances but the Turkish international is determined to end the bad form and wants to be a part of West Ham’s team. What are your thought on Gokhan Töre? Can he come back from injury and make a positive difference to our team? Samuelsen benched while other West Ham loanees feature at the weekend. On-loan West Ham defender Reece Burke returned to action following last week’s international break, helping Wigan Athletic secure their first point under new boss Warren Joyce in the Championship on Saturday. Burke – who has now started Wigan’s last four matches at right-back – was making his sixth appearance in total, having recovered from an injury which ruled him out of September and much of October, was solid in the 0-0 draw. Elsewhere, Josh Cullen again started for Bradford City in League One, however the Bantams were convincingly beaten 3-0 at the hands of Southend United. Lewis Page was also in action in League One, playing 90 minutes for Coventry City, though the Sky Blues were also on the end of a humbling defeat.